Join us before or after the show! 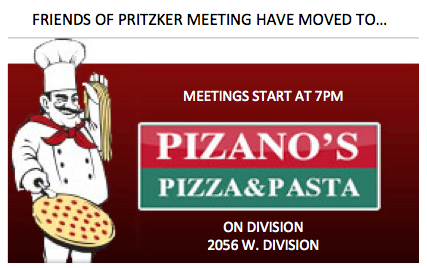 Friday February 24, 4pm to close 2056 W Division St (773) 252-1777 Be sure to mention Pritzker and Pizano’s will donate a percentage of sales back to our school! Join us for dinner before the show! Thursday February 23, 4-7pm 1625 N Damen Ave (773) 772-5501 Potbelly will donate 25% back to Pritzker! WHEN? Wednesday January 25th from 4-8 pm (dine in or carry out) WHERE? 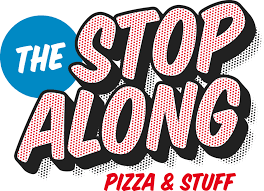 The Stop Along 1812 N Milwaukee Ave (just off the 606) (773) 394-4694 WHY? Mention Pritzker at the time of purchase and The Stop Along will give back 20% of the sale to our school. Our Annual Dine Around event at Boundary Tavern and Grill is Saturday January 25th! Save the Date! Boundary is located at 1932 W. Division and a great place for breakfast, lunch or dinner. A % of proceeds goes to Pritzker!! Thalia Spice | parents night out!